Do you want to serve something unforgettable to your family? This “Creamy Shrimp Creole Soup” recipe is especially easy to prepare and wonderfully delicious. Add garlic and stir into the hot oil and let cook for 1 to 2 minutes. Now add celery, onion, tomato, bell peppers, cayenne and Old Bay. Saute the mixture of vegetables for 6-10 minutes. Add chicken broth and mix well. Stir in the Louisiana Hot Sauce, lemon juice, wine, heavy cream and Worcestershire sauce. Then add the shrimp and salt and pepper to taste. Cook for 6-8 hours on low heat or 2-4 hours on high heat. Nothing brings good times and good friends together like delicious food. And Crock-Pot (slow cookers) has been the center of countless family gatherings, neighborhood get-togethers, summer cookouts, and, thanks to portable models, even tailgating parties since 1970’s. Whether you’re cooking for a few or entertaining a crowd, the convenience and ease of Crock Pot Meals makes dishing up home-cooked meals—and the memories that go with them—a pinch. Whatever the occasion is you're sure to find the perfect crock pot recipe to help you create a great tasting meal that is easy to make. 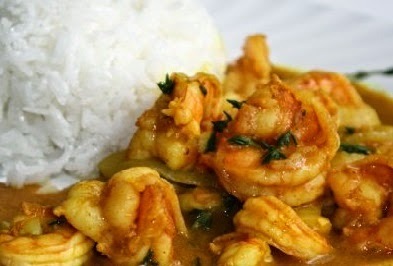 This “Jamaican Curried Shrimp” recipe is simply delicious. To spice it up add a little serrano peppers to the recipe. Add curry powder and stir into the hot oil and let cook for 1 to 2 minutes. Now add onion, tomato, thyme, bell pepper and garlic. Add soup and chicken broth and mix well. Stir in the sour cream and heat through. This great "Chunky Vegetables and Beef Italian Spaghetti Sauce" is one of our family's best kept secrets. Nothing brings good times and good friends together like delicious food made with love. 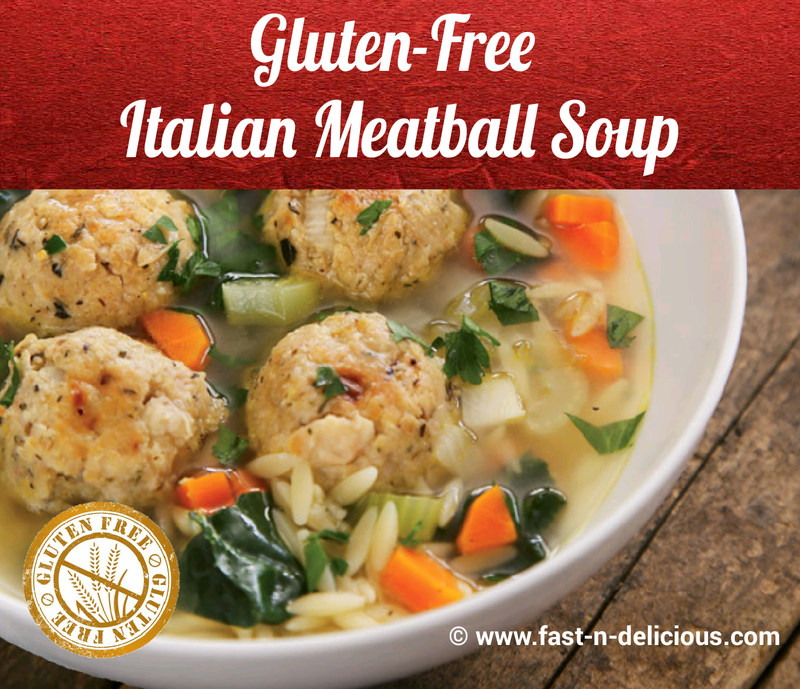 The recipe can be used as a base sauce for a number of Italian recipes. In a large skillet on low-med heat add your olive oil and saute your onions, bell peppers, mushrooms for about 6 minutes,then add your crushed garlic,cook for 2 minutes longer. Combine with all the ingredients in a large crock pot. Make sure you mix everything very well. Cover and cook on medium heat for 6 to 8 hours. Line the bottom of the crock pot with the onion slices. Then lay the chicken legs and thighs on top of the onions. In a large bowl add garlic, Pepsi, ketchup, soy sauce, brown sugar, ginger, red and black pepper. Mix well and pour over chicken into the crock pot. Cook on high 4-5 hours or on low for 6-8 hours. Sausage Jambalaya truly captures the flavors of New Orleans with this easy recipe. 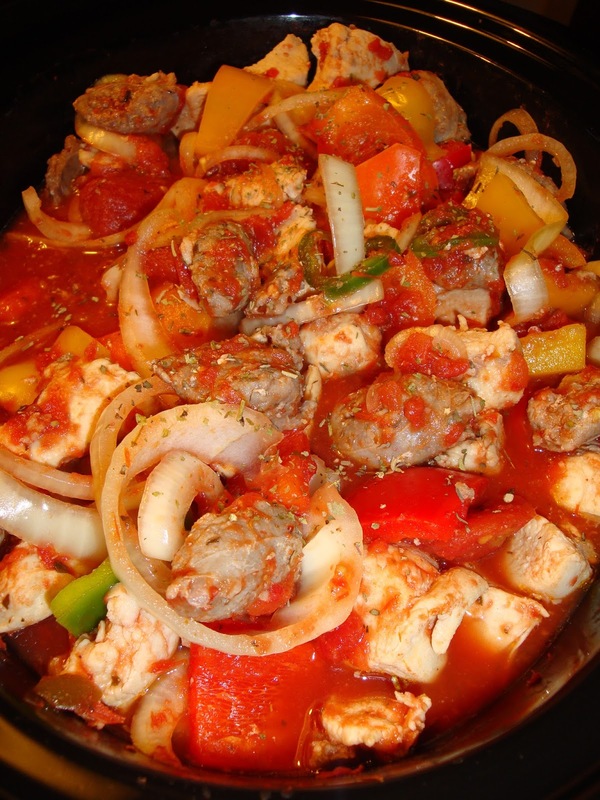 This stunning crock pot dish uses sausage to give the meal the perfect flavor. Tomatoes and shrimp are added for a real New Orleans touch—perfect for taking your taste buds on a trip to the Big Easy. In a small skillet brown Italian sausage, drain off oil and set the oil aside. Slice sausage 1/4 thick and set aside. Using the same skillet saute onion, green pepper and garlic using the oil set aside from the sausage until tender. Add sausage, onion, yellow pepper, garlic, broth, Creole seasoning, Louisiana hot sauce, salt, corn, beans, stewed tomatoes, and diced tomatoes to the crock pot; mix well. Cook 6 to 8 hours on medium heat. 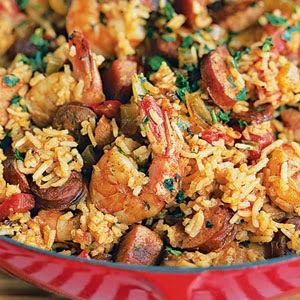 Add Minute Rice or per cooked rice and shrimp. Cook until the rice is tender and the shrimp turns pink. If you love Barbecued Texas Chili Brisket but just don’t have the time. Then here’s one way to satisfy your cravings for barbecuing and save you time in front of the grill. In a pot boil the chilies until they become tender remove from pot and cut stems off. In a food processor blend together chilies, garlic, chicken flavor bouillon, cumin, smoked paprika, coarse sea salt, olive oil, and vinegar until it is a thick paste. Rub the mixture all over the brisket. Slice onion and line the bottom of the crock pot with onion. Put the brisket inside the crock pot on top of the onion slices. Pour chicken broth in the crock pot, but not on top of the brisket you don’t want to wash the rub off, pour to the side of the brisket. Cook on medium heat 6 to 8 hours. Per heat the grill to 275 degrees. Carefully remove the brisket from the crock pot and place in an aluminum boat. Grill until the top becomes a little bit crisper; about 10 to 15 minutes. Optional Smother with Kraft Thick Hickory BBQ Sauce. Let rest five minutes, slice and serve. 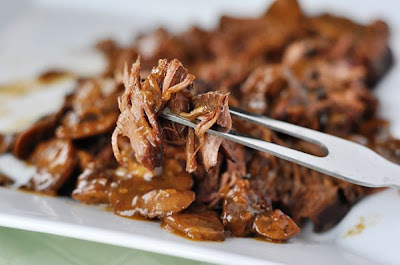 A mouth watering rich and savory sauce made of the beef drippings onions, mushrooms, and balsamic vinegar accompanied by the Beef Brisket being meltingly tender makes this recipe outstanding! Coat a large roasting pan with olive oil and bring to a high heat. Season the brisket generously with salt. Add the brisket to the pan and brown well on both sides. Remove the brisket from the pan and reserve. Lower the heat to medium, ditch the excess oil, and add the bacon and reserved skin to the pan with a little more oil. Cook the bacon, stirring occasionally, until the bacon is crispy and has let out a lot of fat. Add the onions and celery. Season with salt and cook until they are very soft and aromatic, 7 to 8 minutes. Add the garlic and cook for another 2 to 3 minutes. Toss in the mushrooms and cook until they are soft and wilted. Add the balsamic vinegar and reduce it by half. Taste it - it will be very vinegary, but that's ok, don't worry. Season with salt, if needed. Lay the brisket on top of the veggie mix in the crock pot and add the chicken stock to the crock pot until it just covers the brisket. Add the bay leaves and thyme. Put the lid on cook on medium heat for 6-8 hours. 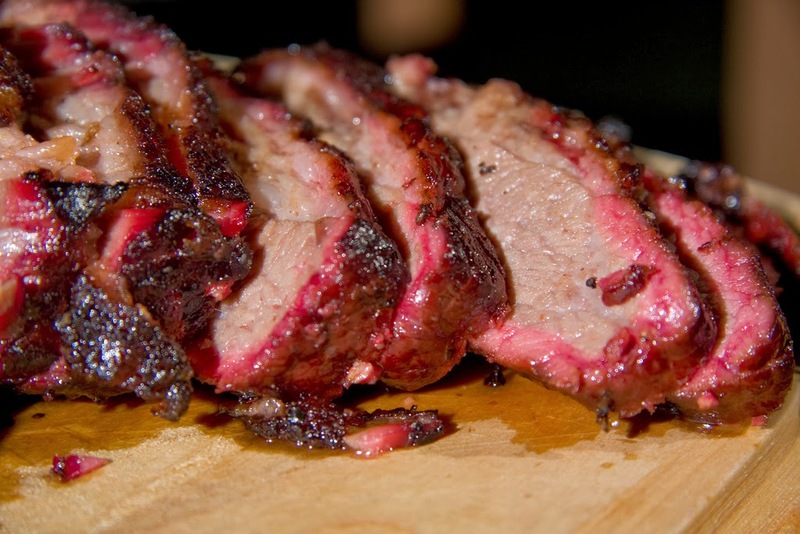 check the brisket, and turn it over. Add more stock if the liquid level has reduced. Transfer the brisket to a cutting board, cover with foil, and let rest for 20 minutes. Skim off any excess fat from the cooking liquid. If the vegetables are swimming in liquid, reduce the liquid on the stove-top over medium-high heat. 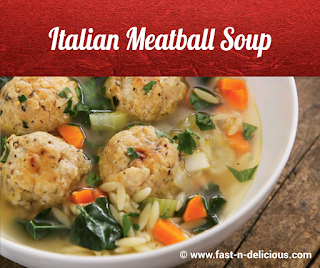 You want the sauce to be soupy. Taste the liquid and re-season if needed. Slice the brisket against the grain on the bias. 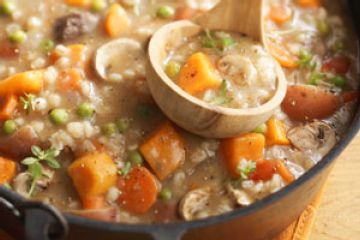 Chicken-Barley Stew is an enriched take on classic chicken soup with rice; at once flavorful, hearty and comforting. In 4- to 5-quart slow cooker, place carrots, celery and onion. Place chicken breasts on vegetables. Add remaining ingredients except parsley and thyme. Remove chicken from cooker; place on cutting board. 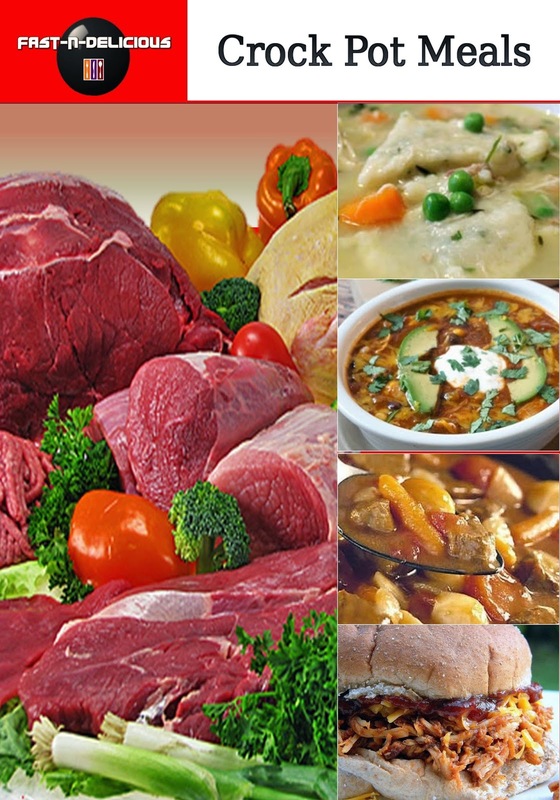 Remove meat from bones and chop into 1/2- to 1-inch pieces; discard bones. Stir chicken, parsley and thyme into stew. Increase heat setting to High. Cover; cook 10 to 15 minutes longer or until chicken is thoroughly heated. Try this delicious and flavorful Spicy Chicken and Kielbasa Couscous recipe. It is absolutely perfect for a cold night in the winter. Rinse chicken, pat dry. Cut into bite-size strips and set aside. In a large skillet brown and stir the chicken and kielbasa. In a heavy saucepan cook the onion in 1 tablespoon of the butter over moderately low heat, stirring, until it is softened, add the turmeric and the red pepper flakes, and cook the mixture, stirring, for 2 minutes. In a crock pot peppers, celery, carrots, tomato paste, broth, chicken, kielbasa, and cinnamon stick, coriander, cumin cover and cook on low heat 6 to 8 hours. Strain off 1 1/3 cups of the broth into a medium saucepan, add the remaining 1 tablespoon butter, and bring the mixture to a boil. Stir in couscous; cover remove from heat. Let stand while thickening the sauce mixture. Combine the 1 cup chicken broth and cornstarch, stir into crock pot. Increase your crock pot heat to medium heat and stir in the broth and cornstarch mixture slowly, until the sauce is thick and bubbly turn off crock pot. Serve chicken mixture over couscous.